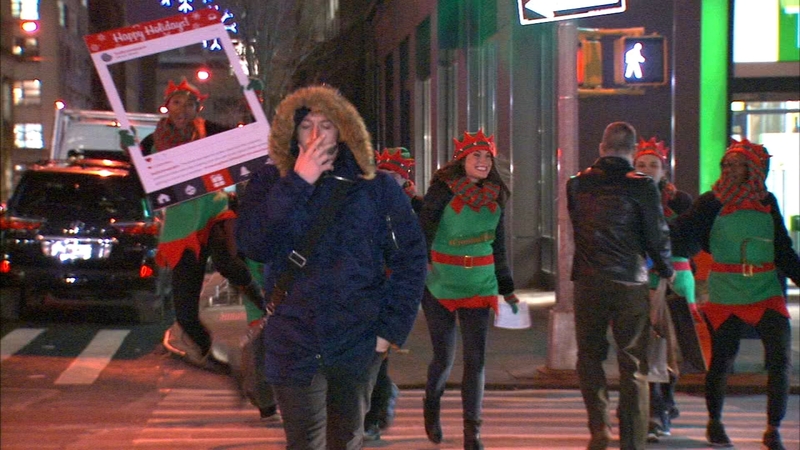 LOWER MANHATTAN, Manhattan (WABC) -- Elves are helping spread holiday cheer by helping pedestrians cross the street safely in Lower Manhattan. The elves turned out to support the Pedestrian Traffic Managers program in the Hudson Square neighborhood. It aims to increase pedestrian safety in the area by the Holland Tunnel. The program says since it began five years ago, it has significantly cut down on blocked crosswalks and intersections as well as honking.